Art lovers and historians know that sometimes to comprehend the magnitude of an artwork, you need to see the world through the eyes of the artist and understand what inspired them. This is especially true of an artist as talented and beloved as Claude Monet, whose work many of us know but may not have considered in depth. 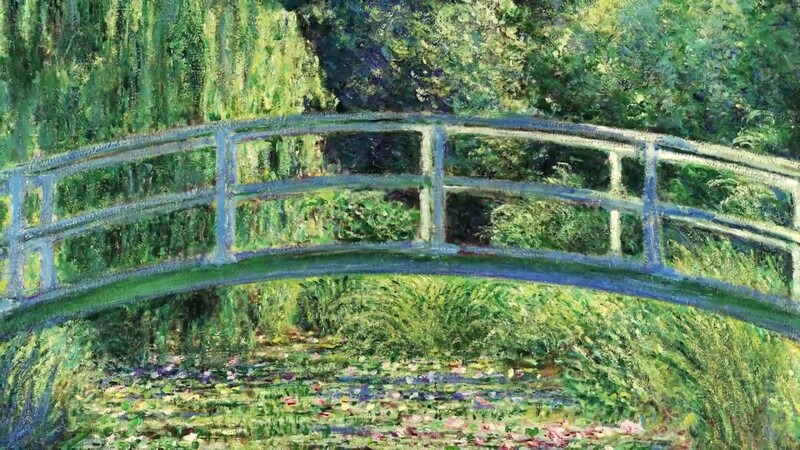 To reveal these insights, the National Gallery London is opening a new exhibition entitled The Credit Suisse Exhibition: Monet and Architecture. This new show will open up a new window into Claude Monet’s world through the cities and buildings that brought his masterpieces to life. And to mark the opening of the physical exhibition in London, you can now explore a selection of these works from the National Gallery, and see a stirring retrospective of Monet’s paintings from 17 more museums around the world, online on Google Arts & Culture. 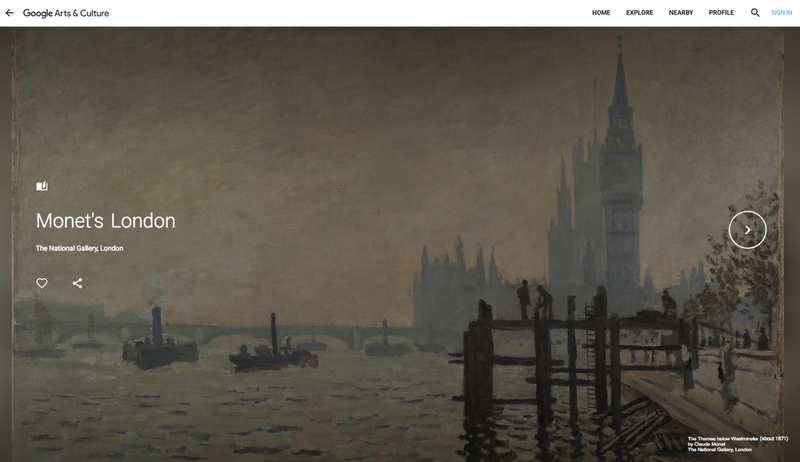 Written by curators from the National Gallery, the online exhibition will feature new original stories about Monet, with little-known details of his travels through London, Paris, Rouen and Venice. For example, records show that Monet loved beautiful cities, appreciated architecture, and had a surprisingly great affinity for fog. This can be seen in much of his work, such as where he depicted the view of the Charing Cross Bridge from his suite in the Savoy Hotel in London. You can also immerse yourself in new, ultra high-resolution imagery of many of Monet’s masterpieces, such as The Water Lily Pondand The Thames Below Westminster. This perspective lets you zoom up close to the works and view every subtle brushstroke, then step back in the digital space to see how these bursts of color create a complete view of the cityscapes that inspired him. And with Google Earth’s Voyager, both in-person patrons of the National Gallery and virtual visitors to the site can journey across Europe, following in Monet’s footsteps via his paintings. You can also see where his works are at present day—possible destinations for your next in-person or online art journey. Start your travels with Monet and check out more The National Gallery collections online with Google Arts & Culture and on our iOS and Android apps.